Mythic dive site of the south. Sheer walls plunge deep into the blue, richly decorated with soft corals, sponges, gorgonias and fans. 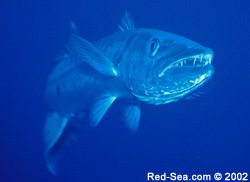 Pelargics often swim by the spot to feed on the abundant reef fish population. 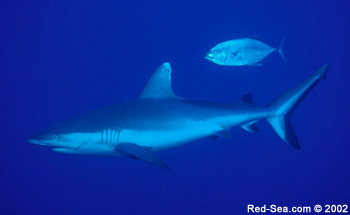 The northern plateau is home to schooling hammerheads with frequent sightings of oceanic wite tip sharks. 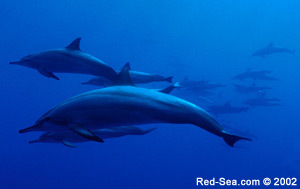 A horseshoe shaped reef creates a shallow turquoise water lagoon where a large herd of spinner dolphins live pernamently. 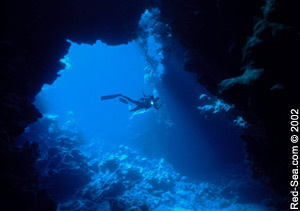 Several dives are found on its outer walls. The western tip provides a large group of pinnacles rising to the surface from a carpet of seagrass, populated by schools of reef fish. A huge round reef with a lighthouse more than 40 miles away from the coast, features an excellent opportunity for spotting big pelargics all around its steep walls with an extreme variety of fish and coral. Strong currents possible. Big reef with big walls, hammerhead and grey reef sharks in summer, malabar grouper, baracudas, and schooling reef fish the rest of the year. Currents, soft corals and giant fans. On 'Fury Shoal' group, this reef has a good hard coral garden on the north side, and a wreck of an old tug boat fully covered with corals leaning on a pinnacle on the south side. Also named 'Dolphin Reef', huge barrier reef that offers a sheltered inner lagoon and shear walls on the outside schooling hammerhead, large tuna fish and jacks. Tiny rock emerging a few feet out of the water, it offers one of the most incredible underwater scenarios of the whole Red Sea. Steep walls falling into the deep blue, currents, soft corals and a great abundance of pelargics and all kinds of fish.